Get "drawn in" to a collaborative window mural that celebrates the diversity of our community, participate in a still life drawing activity that explores an age-old technique with a twist, or doodle to your heart's content on the sidewalk chalk art mural! 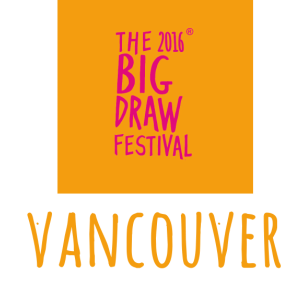 ArtStarts hosts a series of free drawing activities in the heart of downtown Vancouver. While you’re at the gallery, you'll also have the chance to check out Defining Moments, ArtStart's summer exhibition where Canadian youth explore, express, and showcase their individual and collective identities.